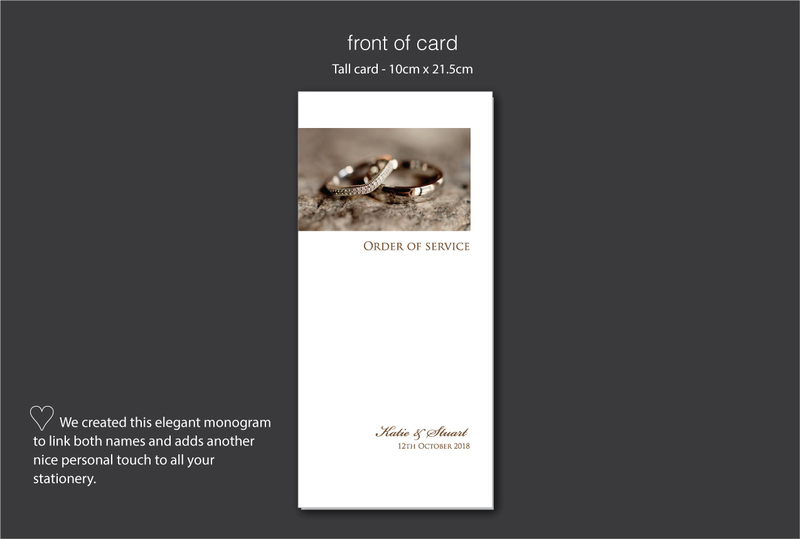 We created these special order of the day cards for Katie and Stuart using a matching monogram that we created for their wedding invites. 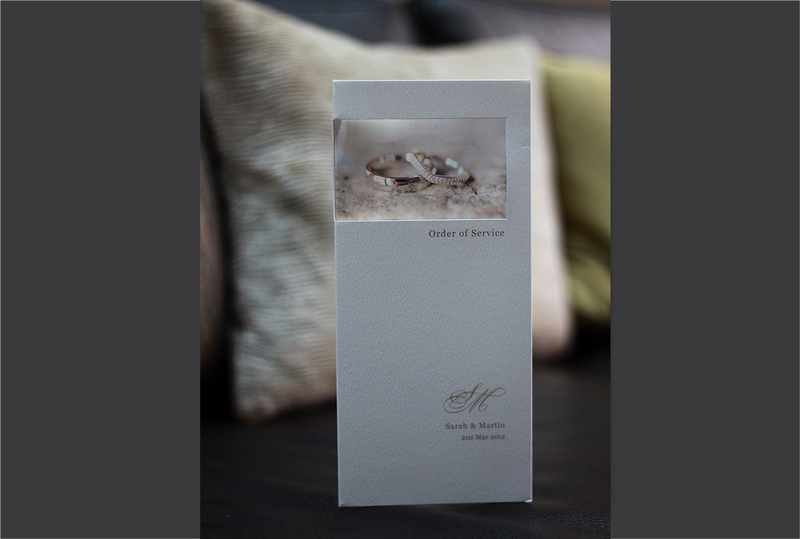 They used a photo of both their wedding rings to add a fabulous personal touch to their service cards. 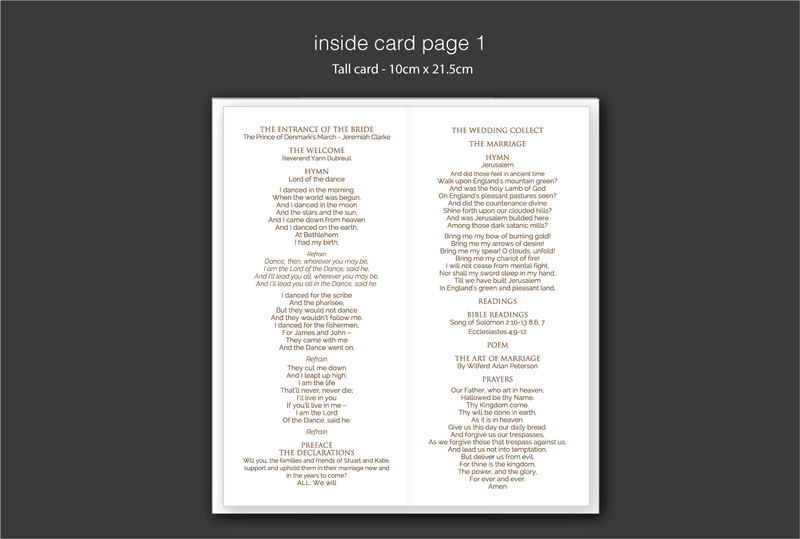 Because their service was quite long we added an additional page so it became more of a booklet. 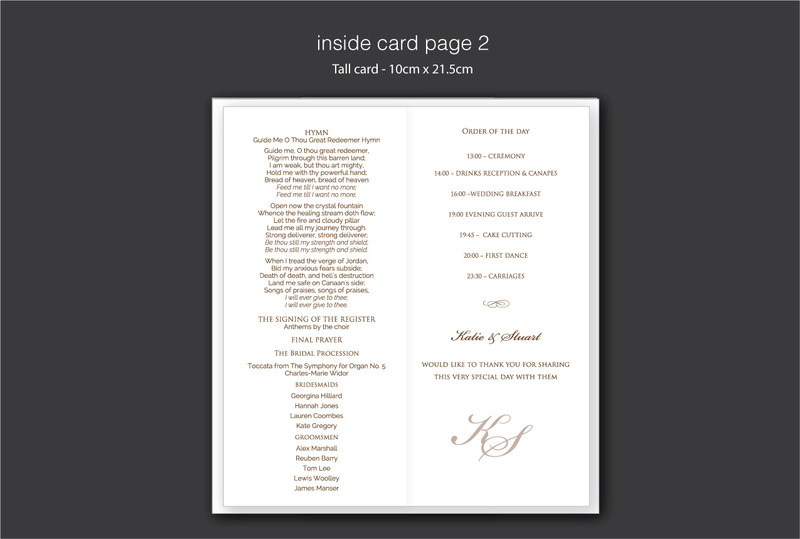 They also wanted to include details of the wedding party and timings of events throughout their special day. 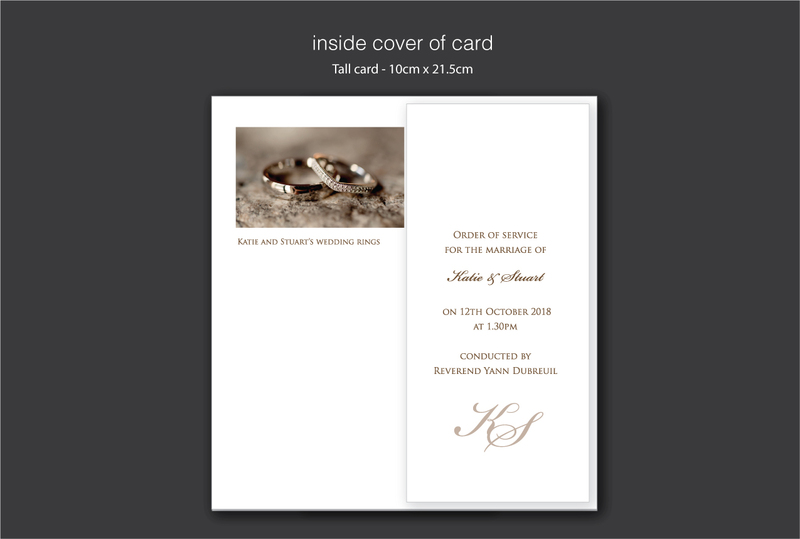 Just tell us you like the ‘wedding rings order of the day cards’ if you would like to use any design details from this example.